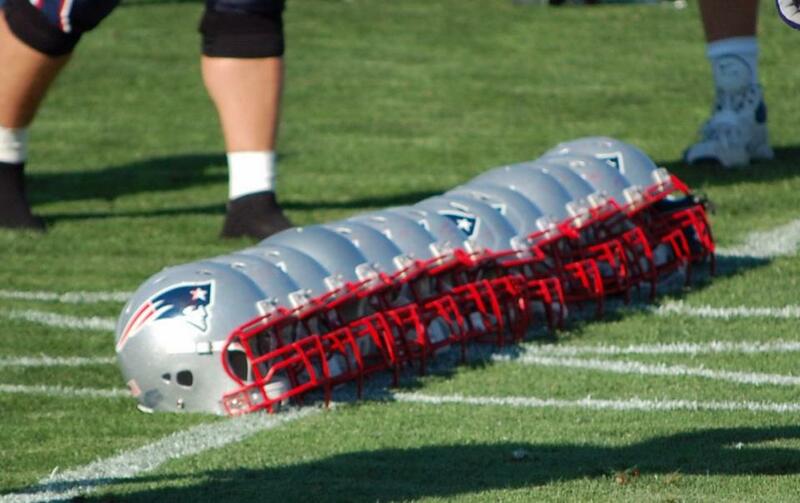 Good morning, Here is your Sunday’s Patriots news 6-03, & AFC East Notes and congratulations to the high school classes of 2018, many of whom held their graduations this weekend. Go out and make your mark in the world. Many of the national sports sites have been completely silent following the news that Al Jazeera released information that stated that Peyton Manning’s attorneys backed up the video made with Charlie Sly, who says in the Al Jazeera documentary he worked for an anti-aging clinic in Indianapolis and sent HGH to Manning’s house under his wife’s name. Sly created a short, homemade video in which he recanted every word he had ever said to Al Jazeera’s undercover reporter,” states Al Jazeera’s court brief. “Sly’s recantation rang hollow. As explained in Defendants’ Motion to Compel against Gibson Dunn & Crutcher LLP, Sly’s last-minute denials followed a visit to his family’s home by investigators hired by lawyers for National Football League player Peyton Manning … which prompted Sly’s sister to call 911. On the video, Sly appeared to be reading a statement that was prepared for him while sweating profusely, and his statements about Liam Collins’ character were clearly based on information that had been supplied to Sly. But since this came to light, not a peep from the NFL, nor the “network” or several other national sites. Does one have to ask… why is that? Kobe Bryant was a guest at the Patriots OTAs this week and he spent some time talking with the players in the meeting room as well as on the field. 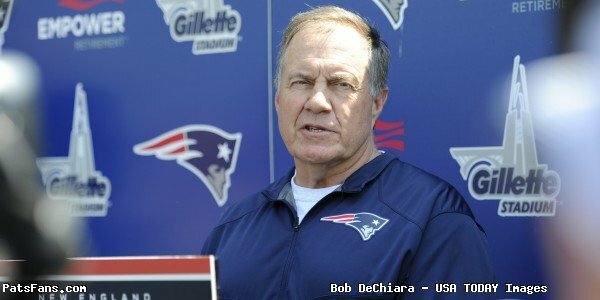 Bill Belichick has always been an admirer of Bryant as is Tom Brady, but the QB has been a no-show thus far in the offseason workouts. 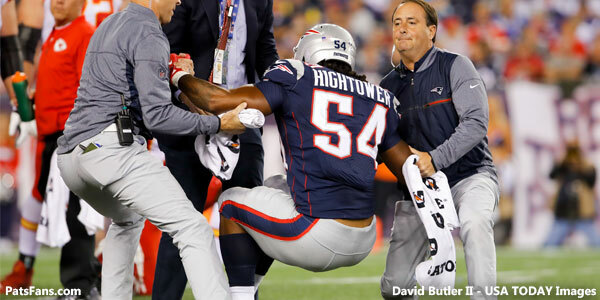 On a good note for OTAs, has to be the news that Dont’a Hightower has been out there and by all reports moving very well. Some media members feel that he’s slimmed down a bit and it is showing in his ability to fly around the field. Something else of note, unlike last spring/summer, Hightower seems to be taking most of his reps back in the middle linebacker position rather than the edge. The not-so-good news? Malcolm Mitchell continues to be a no-show after an early appearance at OTAs. Mitchell was at only the first OTA session and hasn’t been seen on the field since. After missing all of 2017, Mitchell himself proclaimed just after the Super Bowl that this offseason will be a very important one for him. We don’t know whether his absence is just the case of the team taking a cautious approach with him or the fact that his injury woes continue to pile up. It will be an area to watch closely for minicamp this week and once training camp begins in July. Ditto for fellow third-year player Cyrus Jones. That quote by Thomas Edison is an apt one this week because the Patriots, not the league are now the poster children for the “No Fun Zone”. Cassius Marsh made some comments and said that he considered quitting the NFL because of his lack of fun playing under the Bill Belichick system. 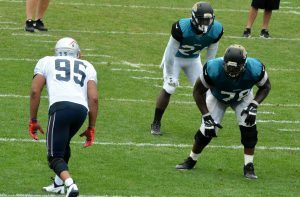 And the Philadelphia Eagles, perhaps the sorest winners in Super Bowl history, have now had two players, linemen Brandon Booker and Lane Johnson, neither of whom spent a day with the Patriots, say how the Patriots don’t have fun. Oh, my. The essence of fun is subjective. What is fun for you may not seem fun to me and vice versa. I used to think it was fun to launch myself out of an aircraft in flight with a parachute and over 100 pounds of “lightweight” gear with weapons strapped to my body. Others may find that less “fun”. And experiences will definitely temper those feelings. 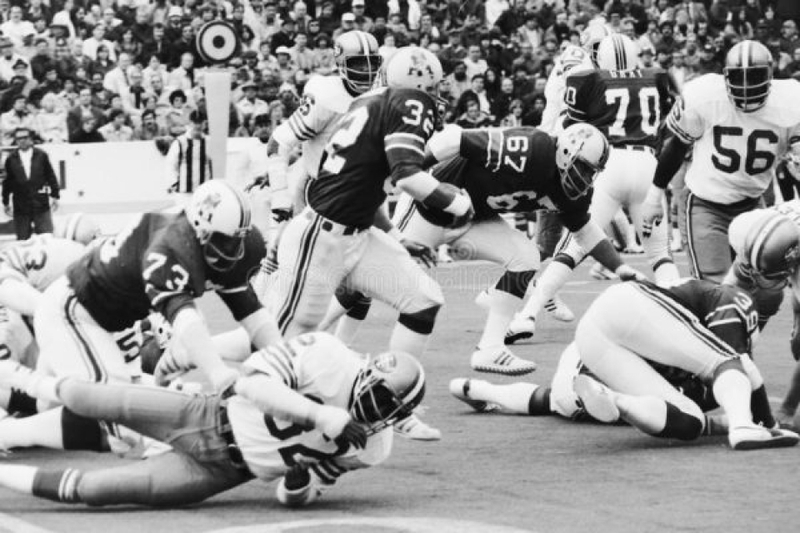 Marsh was traded for because he showed an ability to rush the passer. Fine. But in the Patriots system, as we well know, an edge player has to first set that edge and will be asked to drop into the flats and cover running backs on occasion as well. Marsh struggled at those things. He’s hardly the first and will definitely not be the last. It certainly doesn’t make Marsh either a bad person or a bad player. It was simply a bad fit. Not everyone will fit in any system around the NFL. Marsh’s comments were born from frustration. No one likes to fail at anything. Had he taken to the added responsibilities like a duck to water, do you think we’d be hearing about his lack of “fun” playing the game today? Doubtful. Nothing worth accomplishing comes easily. It takes hard work and gallons of sweat to accomplish great things. It is the finished product, the winning of championships or achieving a goal that is the ultimate prize. And when everyone on board pulls in the same direction, the camaraderie, the closeness of the unit as a whole is the “fun” part of things. You know what two things AREN’T fun? Losing and playing against the Patriots. While it wasn’t the appearance everyone was wanting to see this week, QB Tom Brady was back on the field for his “Best Buddies” charity touch football game on Friday night at Harvard Stadium. 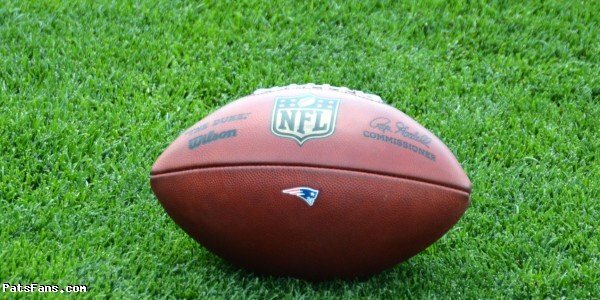 Brady has been erroneously reported (in some circles) as having been throwing to Julian Edelman in the Foxboro practice bubble, having worked out regularly at the TB12 clinic with Alex Guerrero, and acting like a diva by staying away from OTAs as the rift between him and Bill Belichick remains real. Did we miss anything? But Friday night was all about fun and touchdowns. Brady was flinging scores for both teams as his charity game ended in a “defensive struggle” in a 112-112 tie. Included in these was an 80-yard strike to ESPN’s Adam Schefter. Schefter also was the recipient of a 40-yard TD and looked gassed upon arriving in the end zone. He’s sure to hear some smack talk from Rich Eisen about that. 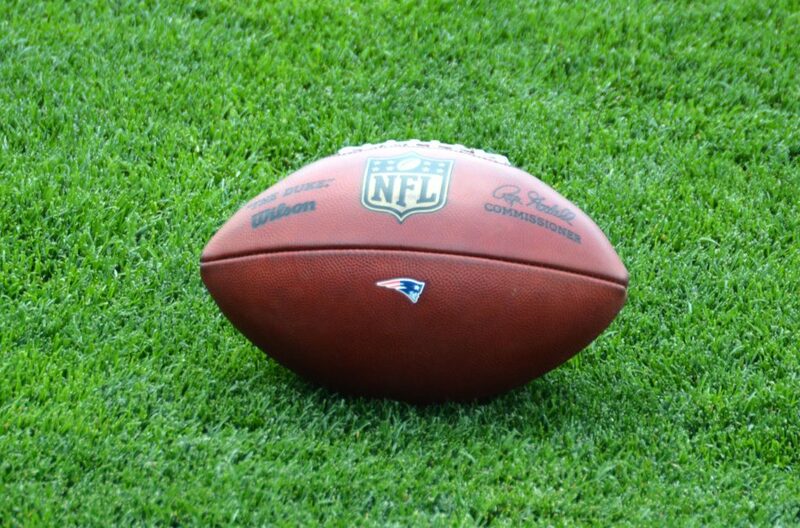 This week we’ll expect to see Brady throwing the ball to Patriots wide receivers in Foxboro during the minicamp rather than in Harvard or Monaco. Then maybe some of this craziness will subside…then again, maybe it won’t. This will be an interesting summer for veteran wide receiver Jordan Matthews. 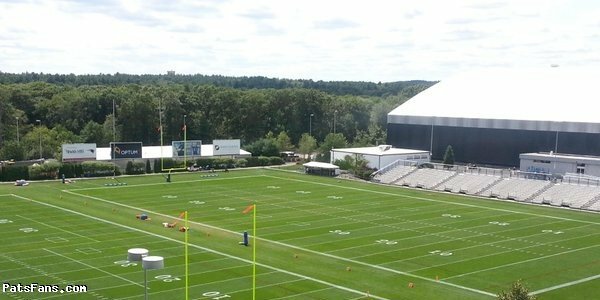 One area we’ll be watching once training camp begins is seeing how the newer members of the team on offense learn the Patriots offense and create some chemistry with Tom Brady. Obviously, the second part of that will have to wait. But one player we feel is going to make an impact here is off to a good start. Jordan Matthews has been a productive receiver when he’s been healthy on the field in the NFL. 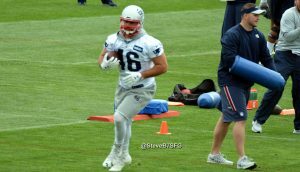 With a crowded positional field at WR this summer, it is imperative that the receivers, especially the new guys learn the offense and have a good feel for it. Andy Hart of Patriots Football Weekly wrote on Thursday how Matthews made a good play in the back of the end zone on a spot throw by Brian Hoyer. It is small right now, but the fact that he’s catching on to the offense is a great sign. 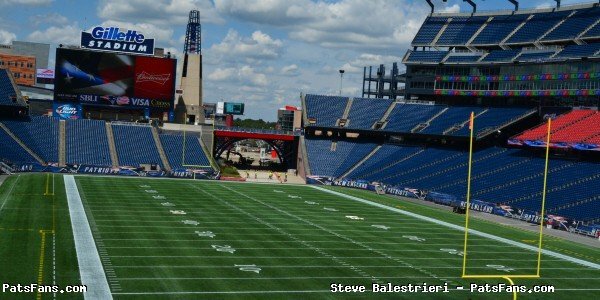 With the aforementioned Dont’a Hightower back in the fold, along with top 2017 draft choice Derek Rivers and Harvey Langi back from injuries, the addition of Adrian Clayborn in free agency and some additions via the draft and UDFAs the Patriots defense should be already better than the unit that took the field in the Super Bowl. It will be up to Brian Flores to put the right pieces on the field and assure that the unit is ready for the task. It won’t be an easy transition taking over the defensive coordinator’s duties without actually having the title. However, if we’ve seen anything out of Flores thus far, the title means little, the job is more important to him. 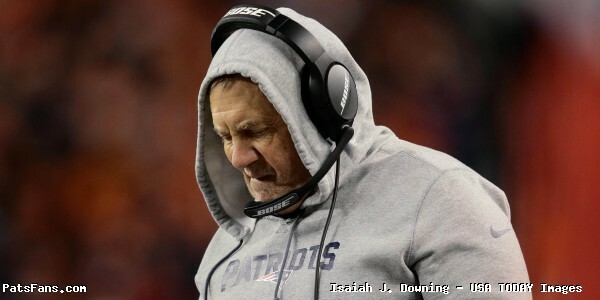 He’s learned his lessons well under Belichick. Leadership is not about a title or a designation. It’s about having an impact on the players and the game plan. Influencing those players and putting the players in the best possible position to succeed. His impact will ultimately be judged by his results. It should be quite a ride, although I believe he’ll not be long for the job. Another team will probably quickly give him a chance to be a head coach. The Buffalo Bills lost Preston Brown during free agency but have seemed to have filled that hole nicely with the 10th overall pick Tremaine Edwards in the NFL Draft. Edwards entered the draft heavily favored to be a top half of the 1st round talent and that is exactly what he was. Defensive Coordinator Leslie Frazier has been enamored with what he’s seen so far in the young 20-year old MLB. 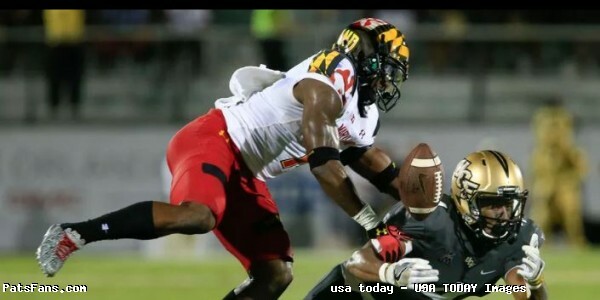 He’s a tremendous talent and should be the face of their defense for the next decade-plus. The Bills also released Center Eric Wood after nine years after it was revealed in January, that Wood’s injured neck had a disk dangerously close to his spinal cord. Wood is expected to retire now that he’s been released. By releasing Wood before June 1 means the remaining guaranteed portion of his contract, which was extended through 2019, would count against Buffalo’s salary cap this season. The Miami Dolphins have signed slot corner Bobby McCain to a four-year extension worth $27 million with $13 million guaranteed, making him the highest paid slot or nickel corner in the NFL. 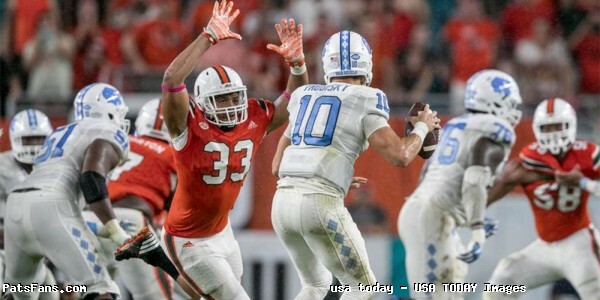 Miami also announced that they have signed four of their 2018 draft picks: safety Minkah Fitzpatrick, cornerback Cornell Armstrong, linebacker Quentin Poling and kicker Jason Sanders. Fitzpatrick was Miami’s first-round pick, being drafted at # 11 overall. He played in 42 games with 38 starts as a three-year starter (2015-17) at Alabama. As a junior in 2017, Fitzpatrick won the Chuck Bednarik Award as the nation’s top defensive player and the Jim Thorpe Award as the nation’s top defensive back. The New York Jets safety Jamal Adams had a very solid rookie season and is looking to get better in his sophomore season. And a big part of it he believes is taking better care of his body now as he’s learned from Lebron James and Tom Brady. Rich Cimini of ESPN spoke with Adams last week and the safety hired a chef to make him healthy food, which meant cutting out all kinds of fried food and eating more fish and everything grilled now. After seeing an interview with James he decided to make the switch. His weight is now down to 208 from 2014 and Adams is already feeling the benefits of it. But is he ready to go to the extreme of a Tom Brady diet? Not just yet. 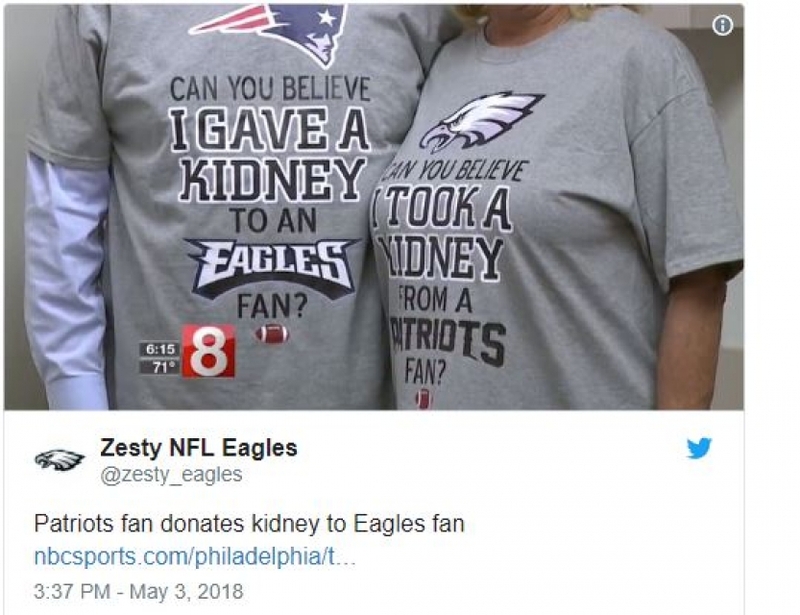 File this one under Brady and Alex Guerrero having more and more influence over not just New England Patriots but over more NFL players now. 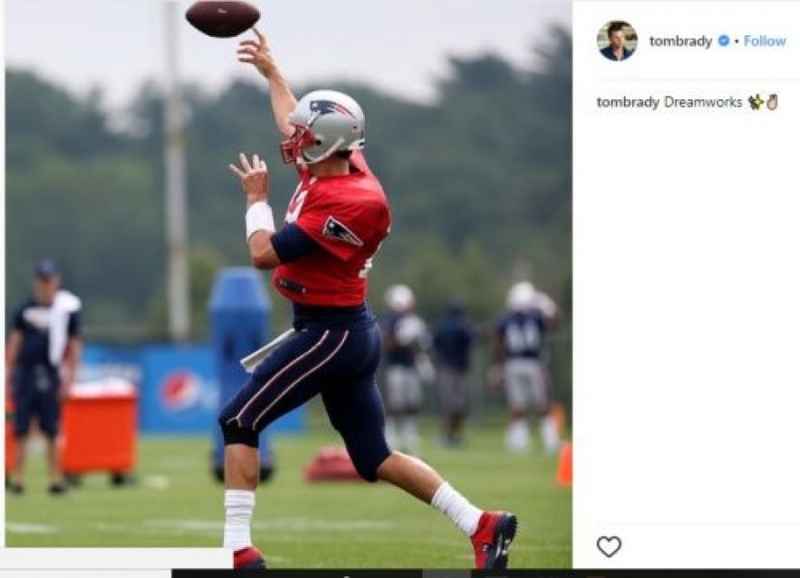 This entry was posted in 2018 Patriots Offseason, NFL Commentary, NFL News, Patriots Commentary, Patriots News and tagged 2018 NFL Draft, 2018 Patriots Draft, 2018 Patriots offseason, 2018 Patriots season, 53 Man Roster Projection, Bill Belichick, Buffalo Bills, Dont'a Hightower, Julian Edelman, Miami Dolphins, New England Patriots, New York Jets, NFL, Patriots, Tom Brady on June 3, 2018 by Steve Balestrieri.